Students are admitted to Cedar Crest College on the basis of individual qualifications. In addition, some majors require special course preparation and/or grade-point averages. Admission to the College does not indicate admission to a desired major. The Admissions Committee may require and/or Academic Services may highly recommend special courses, including remedial courses and/or special course sequences. These requirements and recommendations are intended to improve a student's chances of academic success. Students are encouraged to visit the campus to discuss their educational plans with an admissions counselor. A campus visit generally includes a student-guided campus tour, and an opportunity to meet faculty and to attend classes. Visits are easily scheduled by calling the admissions office weekdays 8:30 a.m. - 4:30 p.m. at 800-360-1222 or 610-740-3780 or schedule a visit online at www.cedarcrest.edu/visit. Students can visit the College online at www.cedarcrest.edu.College Visit Days and Open House programs also are held frequently throughout the academic year. Admissions counselors are better able to counsel students who bring test records, secondary grade reports, or college transcripts when visiting the campus. Cedar Crest College seeks to enroll students who have shown academic achievement and promise in combination with varied interests, talents and backgrounds. The high school record is an important factor in the selection of candidates. A good foundation for the Cedar Crest curriculum includes a college preparatory program of four years of English, three years of mathematics, two years of laboratory science, three years of social studies, two years of international language, and three or four academic electives. In individual cases, the College is willing to consider a good student whose preparation does not include all of these subjects. In addition to meeting the general admission requirements of the College, candidates for the nursing and nuclear medicine programs should include two consecutive years of laboratory science (biology and chemistry) in their high school curriculum. Candidates for the nuclear medicine program also should include one year of physics in their high school curriculum. Both women and men may apply for admission to the nursing and nuclear medicine programs. To apply for admission, all candidates should submit a completed admissions application, an official transcript of their high school record, a one-page typed essay, results from the Scholastic Aptitude Test (SAT) of the College Board or the American College Testing Program (ACT), and one to two teacher recommendations. In individual cases the Admissions Committee may request additional information. All students are encouraged to visit the College for a personal interview and campus tour. In keeping with the College's philosophy of encouraging students to develop individual talents, candidates are invited to submit any additional evidence of readiness for college. Such evidence may include works of art, original musical scores, independent projects, photographic essays, reports on scientific work, original poetry or prose, or other items of the student's choice. A completed health form also must be submitted to Cedar Crest's center for health and counseling services prior to a student's enrollment. Early admission is available to high school students who have completed their junior year, have permission from their schools, and wish to enroll in college a year early. In addition to a strong academic record, an early admission candidate must demonstrate a high degree of emotional and social maturity. SAT or ACT scores and an interview are required. Application procedures for early admission are identical to those for regular admission. Early admission candidates are asked to identify themselves to the admissions office at the outset so that proper counsel may be provided. A rolling admissions policy is in effect at Cedar Crest; applications are reviewed on a continuing basis. Students may apply at the conclusion of their junior year in high school. Applicants are usually notified of the Admission Committee's decision a few weeks after the receipt of all application materials beginning September 15 each year. Acceptance will be made with the understanding that the student will satisfactorily complete the senior year. To reserve a place in the incoming class, an accepted student is asked to send a $200 non-refundable enrollment deposit. The deposit is credited toward the bill for the first term. Students desiring advanced placement credit should submit the results of all tests taken through the Advanced Placement Tests of the College Entrance Examination Board. Generally, a score of 4 or 5 will earn credits and/or advanced course placement for most test subjects. A publication listing each subject and the credit available is obtainable from the Admissions Office. The Cedar Crest Honors Program is a stimulating and enriching accompaniment to the college experience for traditional students. Honors courses are cross-disciplinary in nature, at times team-taught, with an emphasis on developing the talents of unusually gifted students and promoting understanding of diverse approaches to the questions and problems inherent in the human condition. 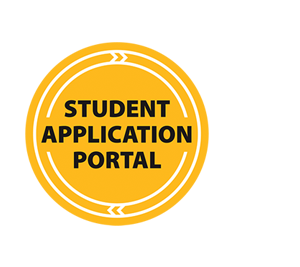 To apply for admission, an international student should submit the following documents. Application deadlines and more information for international students can be found online at www.cedarcrest.edu/international. A completed International Student Application. Official transcripts of any secondary school or post-secondary study translated into English. Course descriptions in English should be sent for college- or university-level work. Results of the TOEFL Examination, Scholastic Aptitude Test (SAT) or American College Testing Program (ACT). An English writing sample in the form of a one-page typed essay. One to two teacher recommendations. Cedar Crest welcomes qualified transfers from other colleges and universities. To apply for transfer admission, students should submit a completed Admissions Transfer Application. An official transcript from each school attended since high school is required. Transfer applicants should also submit an official transcript of their high school record, a one page typed essay and a recommendation from a college professor or advisor. Evaluation of transfer credit is determined on a course-by-course basis by the registrar after an evaluation of official college transcripts. Up to 90 semester hours of credit may be transferred. A maximum of 60 of these may be from two-year institutions. Most courses in the liberal arts taken at an accredited college or university with a grade of C or better will be given equivalent Cedar Crest credit. Transfer students receive a statement of advanced standing listing all accepted credits from previous institutions attended. The College’s policies for evaluating courses for transfer credit follow the guidelines established by the American Association of Collegiate Registrars and Admissions Officers. Credits transfer; grades do not. Some departments may require a minimum number of Cedar Crest credits in the major subsequent to being accepted to study in the department. All transfer credits that a student intends to apply toward a major must be approved by the department chairperson. A non-matriculated student takes courses at Cedar Crest without the intention of pursuing a degree. In the event that a course section reaches its enrollment maximum, matriculated students are given preference over non-matriculated students. For information, contact the Adult and Graduate Admissions Office. Cedar Crest College offers high school juniors and seniors the opportunity to take college course at a reduced tuition rate. High school students participating in this program may choose from a variety of Cedar Crest College courses. Tuition for Early College high school students is $290 per credit for undergraduate day, evening, and weekend courses. The Tuition for Early College high school students cannot be applied to online courses or independent studies. The rate includes all fees, books, and supplies. Interested students should contact the Traditional Admissions Office at 610-740-3780.